Home » Blog » Phase out IE6 petition signed! All web developers have a love/hate relationship with IE6, but only since the Chinese attacked Google using an IE6 security hack has the matter really come to the public attention. “The German and French governments have started to encourage people to upgrade away from the browser Internet Explorer 6 (IE6). 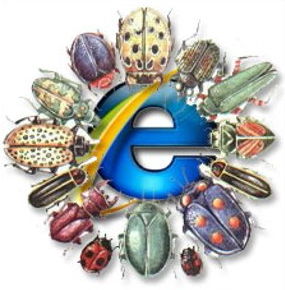 IE6 – Buggy as hell! Follow the link to the online petition and sign up now – your country needs you!